Lor Voskara, situated on Oceanus (APAC server), is ruled over by King Alerxius Xakorai and was founded shortly after the store update. Boasting a community of like-minded people, citizens can expect a kingdom based on the principals of community, strength and prosperity. All citizens will enjoy a structured, inclusive and active community where emphasis is placed on coming together to help each other achieve common goals. The cultural, economic and spiritual powerhouse that was a unified medieval Spain, emphasising the interconnectedness of all levels of society. Lion: The lion head symbolises courage, strength and excellence, as well as resilience in the face of challenges. Its tenacious mane symbolises the Kingdom’s single-minded resolve to rise to any challenges and overcome any obstacles. The crowned brow identifies legitimacy, honour, and glory to those who have contributed to the Kingdom. Wing filigree: The winged filigree is an expression of the aspiration of the soul towards a higher than mann condition, in other words the aspiration to transcend – freedom of thought, imagination and expression. Crossed Swords: The crossed swords in saltire symbolises power, protection and courage. The gold pommels ties these virtues to wealth and the Kingdom’s empowerment of the individual to seek, expand and defend their prosperity. Haloed Helm and Armour: Representing the Virtori faith of the Kingdom and the ever present guidance of the Virtues/Vices on high. The winged helm carries the undertone of freedom of faith and acceptance, the halo represents Virtori ascendancy. We build our structures and organise around what it means to be part of a gaming community with practicality and functionality in mind. This means there are meta (non-in game) considerations that help us administer to the community and provide an environment that allows our citizens to clearly identify where they belong and where they want to get to – mapping out connections between citizens and groups and making it easy to organise the community. Around this structure we build a thematic (role play) element that allows for an immersive view of why these things are how they are in-game. 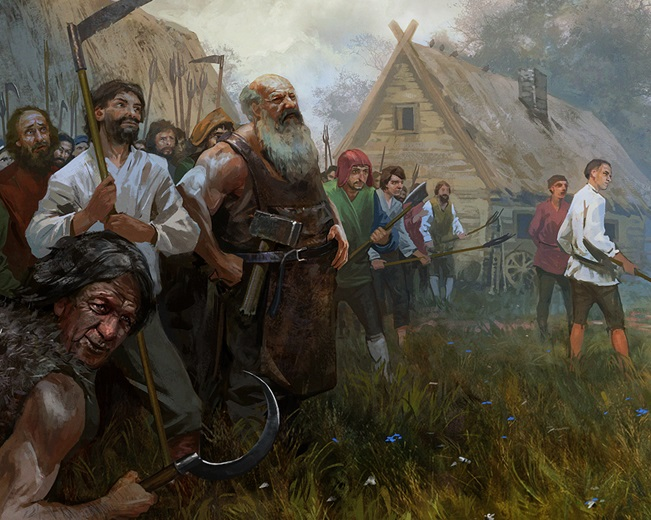 This could be viewed as Lor Voskara’s unique culture in Elyria. This is very much an elective choice that is provided to allow citizens, who wish to do so, to immerse themselves in their play environment and interact with our structure in a flavourful way. Community: We will maintain a place where everyone can come and enjoy the game together, working together for a common purpose and shared goals. We will maintain a mature, inclusive environment that does not tolerate drama. All playstyles and commitment levels welcome. Prosperity: While neither a closed community nor economy – a coin spent in Lor Voskara is a coin that stays with the citizens. Emphasis will be placed on seeking goods locally first before seeking them externally. We will work towards a self-sufficient community that together in solidarity brings prosperity to all. Stability: Changes to core tenets and principals are not made lightly. 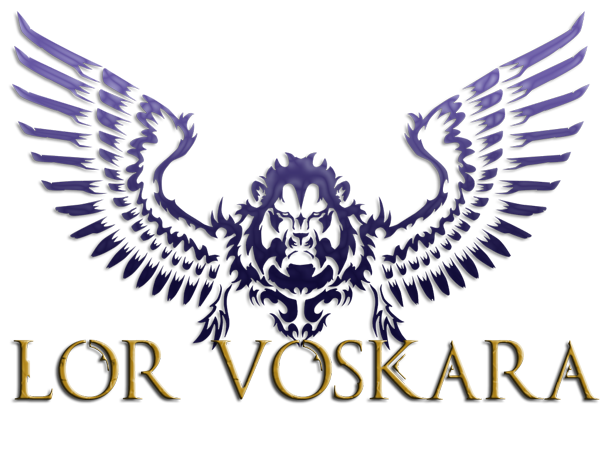 You can settle with confidence, knowing that the Lor Voskara way of life is not subject to the ‘rule of cool’ or any brash decision making. Role Play: We encourage all citizens to immerse themselves in their desired role, however we do not force this playstyle. We respect all playstyles and understand that roleplay and normal play need not be conducted in a mutually exclusive environment. Alerxius Xakorai (Omicronus) backed at the king level just after the update to the store pledges. Not being satisfied with the values and direction of the different communities on Oceanus (APAC) King Xakorai decided to put his money where his mouth is and create the kind of community he wanted to be a part of – and so Lor Voskara was founded. Needless to say Xakorai is financially and emotionally invested in nurturing a kingdom that is not only functional, but a pillar of the APAC community. While being approachable and not easily shaken, King Xakorai is also a strong believer in meritocracy and hand picks individuals who display drive and initiative for leadership positions, regardless of any physical ‘rank’. The best people for relevant jobs are selected on life experience and what capabilities they can bring to the table to better the kingdom and game experience for the community. You have the certainty of dealing with a defined structure allowing you to grow and shape your gaming experience with like minded understanding people. Your potential is not limited by convoluted meta drama, your potential is only limited by your drive to achieve. You have the benefit of knowing what to expect, free of the whims of ‘micro kingdoms’ and obtuse leadership styles, allowing you to develop your interests and prosper. You are valued and protected by the Kingdom and its leadership, each and every citizen is respected and encouraged to contribute as much as they wish. You will be part of one voice, one direction that puts you and your prosperity at the centre of its ethos. Lorandor is the royal seat of the Kingdom of Lor Voskara, ruled by House Xakorai. 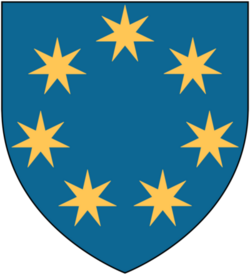 Situated within the Grand Duchy of Rh'torum, Lorandor is the cultural and spiritual heart of the Kingdom and boasts the finest academies and institutions available to citizens. Lorandor is about perfection in your chosen field and the ability to self express to maximise creative potential. To this end King Xakorai has long held to the belief that the arts, scientific research and religion should go hand in hand to enhance the potential that is Lorandor and Lor Voskara as a whole. Ki Nora stands as the vanguard of Lor Voskara, formerly lands that saw warring clans fight for resources and territory, Now united under the leadership of the house Valentine work together to focus on the betterment of itself and its kingdom by war games, festivals and trades. Mimir, its capital resides in the mountain ranges of the duchy where it keeps watch of the borders between it and the other kingdoms while keeping a balance between rural and military aspirations while using their large port for trade and naval avenues. Ki Nora embodies the ideals of growing stronger from the chaos of the world and chooses to find a way to live within life's challenges and hardships instead of working to suppress these trails that would see their people overcome and rise above such things with not only strength but the wisdom of it. Set in the Arid deserts of Lor Voskara, Vorhut and the proud race of Waerd whom inhabit the northern lands are on the frontier of life within the Kingdom. Bred for war, most young Vorhutians learn to wield a weapon from a young age. Ready to serve the kingdom to the death in its defense. Vorhut is also home to the Legion der Eisernen Ritter, the knight elite of the realm formed from the tales of the exploits of knights from an early crusade, in which it is a massive honour to be chosen to serve. Bordering the northern kingdoms, Vorhut also aims to provide a hub for trade and a place to rest for travellers wishing to travel to other parts of the kingdom, as a starting point along the silk road winding its way through the lands. While the military is the main focus of Vorhut, all those whom wish to serve the kingdom of Lor Voskara are welcome in any capacity, be they traders, crafters or wanderers. Currently, anyone familiar with food production in the harsh desert are of need, as will be weapon and armour smiths to provide weapons and armour to the army. A collection of hunters, gatherers and frontiersmen that provide food and basic produce for the people of Elyria. Being part of Salt of the Earth you know what it means to venture out into the wilderness and live by your wits, axe and arrow and you can do so with like minded people. If you want to make a living off the land with your huntsman instinct Salt of the Earth is the guild for you. 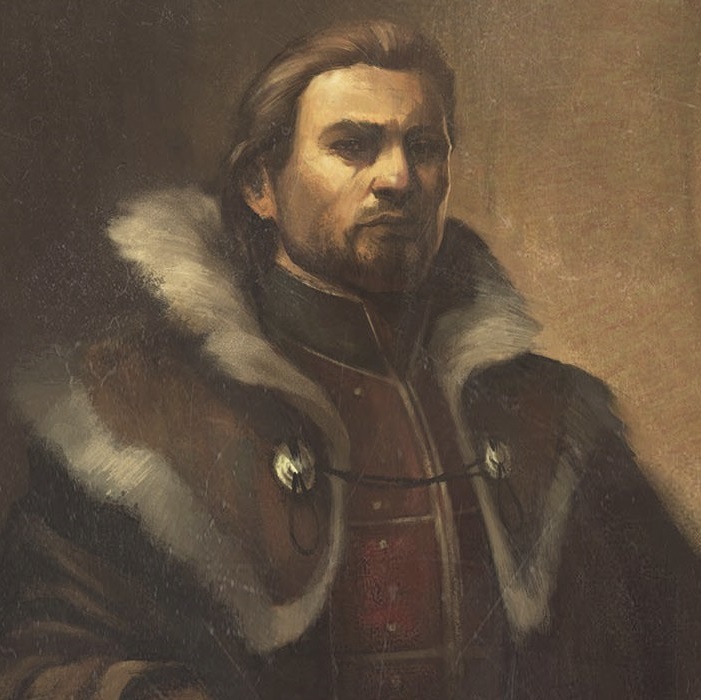 The Wyrmberg is a smithing guild founded by Count Valegor and Davheid. Our primary focus is metallurgical research and providing superior quality products through both skill and materials. We are looking for Smiths (all kinds), Leather workers, Tailors, Tinkerers, Jewellers, Fletchers, Bowyers and Gatherers at this time. If you take pride in your work and strive for quality, then we want you whether you're casual or have ambition to acquire Legendary status. The academy of life is an organisation dedicated to animal husbandry and agriculture. 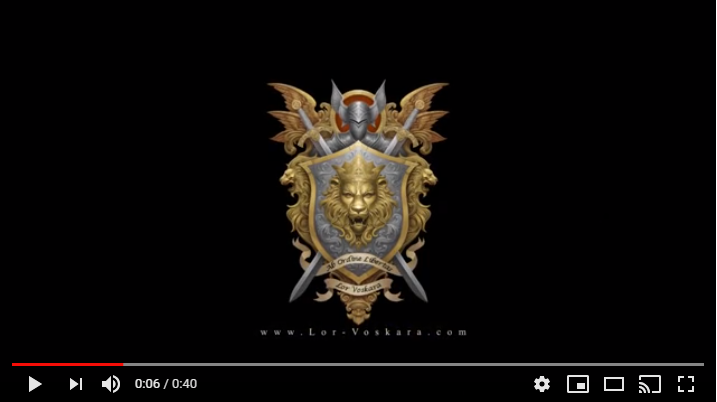 We will be based in the kingdom of Lor Voskara will be breeding all forms of animal life, be it for mounts, food or preventing species extinction. We will also be supporting farmers, alchemist and herbalist, in an attempt to supply food and medicine to the kingdom. Those who live by the sword, die by the sword - but they need not die alone and poor! Wind Riders is a registered mercenary company based out of the kingdom of Lor Voskara where budding sell swords and warriors can ply their trade in a professional military band free of long term commitments. Currently accepting all manner of prospect and front line soldier to fill its ranks. The Voskaran Registering House provides the contractual connection between someone who needs something done and the person that can get it done. Need a lot of wood but don’t know a lumberjack? Going on a dangerous trade journey and don’t have any guards? Need something delivered but don’t have the time? Place your interest with the Voskaran register and they will advertise your problem to potential problem solvers and handle drawing up the contracts. Get things done and get paid with the Voskaran Registering House! Do you want to earn glory for yourself? Want to reign supreme in armed combat? The Banner breakers are for you, within our walls there is no unfair advantages. Every fighter has the equal chances to take on their opponents so if that's for you, you should take on the Banner breakers challenge. Win your fights, take your rewards and earn your glory. When great churches, monasteries, castles or manor houses are toward, the Masons come into their own. Working wonders with stone, the Masons are a guild of grand architects and craftsmen, a society of aristocrat among the workmen and boast of an ancestry of incredible age and distinction. The Craft carries noble traditions and has dignity of a high order to maintain. Moreover, it has secrets which at all costs must be preserved and an esoteric philosophy which is rooted in the lore of the past. 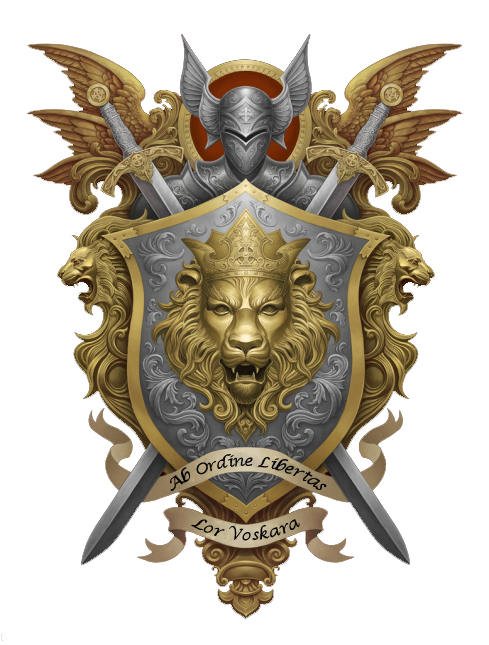 This Kingdom of Lor Voskara guild intends to have libraries across the Kingdom dedicated to Chronicling the Kingdom's history, laws, public records and the like will be stored here. Attached to the guild is an association called Arcane Seekers which is a group of relic hunters which goes out and seeks relics for the King and his scribes to study. This association is attached to the Atheneum of the Arcanus Lexicon. It's primary directive is to seek relics for the Kingdom to study. “He makes the coffins, you write about the battle, and I supply the corpses.” – Marshall Valen Xakorai, describing the caste system. 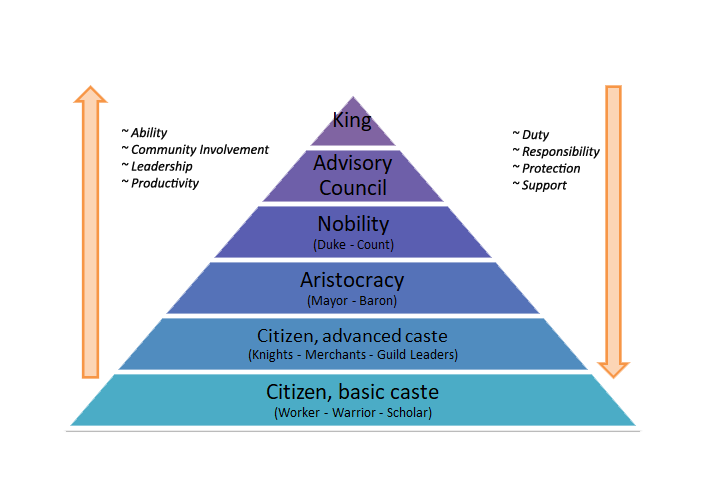 Based loosely on Georges Dumézil's trifunctional hypothesis, Lor Voskara's caste system attempts to clearly define what each member of the kingdom is doing and creates a familiar ‘role’ that citizens would be comfortable with in a more traditional MMO. It also helps identify gaps or needs for the kingdom and provides opportunity for citizens to become involved or connect with services they require – strengthening the community as a whole. The caste system is not restrictive and any lore surrounding it is just to provide flavour. Functionally a citizen can change their caste at any stage they wish. Lor Voskara society is structured around three quasi-ethnic castes. Membership in a caste is generally a hereditary matter - children of parents from one caste will usually follow their parents. When coming of age, children who have a deep feeling for a different caste can join that caste, but this must be announced or the child will be caste with their parents to lessen administrative burden. The castes are not as limited as their titles would suggest, and to some degree try to be self-sufficient. Adventuring, mercenary work and exchange of combat for profit. Primary industry such as mining, agriculture, or forestry, that is concerned with obtaining or providing natural raw materials for conversion into commodities and products for citizens. Trade and mercantile investment, relating primarily to commerce. Above all else Lor Voskara is a meritocracy, meaning those that contribute to the community are rewarded. Each title a citizen accumulates is a reflection of their willingness to support their fellow mann and put the Kingdom and its needs before selfish desires. These individuals support the king by offering their advice, ideas and expertise on all levels of Kingdom business. They are appointed because of their unwavering dedication to the Kingdom and their continual and ongoing contribution to its success, in this they are given specific authority to act on behalf of the King. Membership is by invitation only and there is no rank or title restriction on becoming a part of the Advisory Council. Consisting of those that hold the hereditary title of Duke, Duchess, Count or Countess, and all variation thereof, the nobility is expected to see to the needs of the Kingdom, their demesne and its Citizens. Working with their liege lords to achieve mutually beneficial outcomes, the nobility is free to manage their land and their patrons as they see fit within the over aching laws that govern the Kingdom. A Duke/Duchess that displays suitable drive, determination, commitment to the community and potential will have their land holding expanded, as long as doing so brings no harm to the stability of the Kingdom. A Count/ess that shows suitable drive, determination, commitment to the community and potential will be raised to the title of Duke/Duchess through whatever means necessary, as long as doing so brings no harm to the stability of the Kingdom. Consisting of those that hold the granted title of Mayor or Baron, and all variations thereof, these individuals govern and make productive their localised holdings within their liege lord’s demesne. Working with their liege lords to achieve mutually beneficial outcomes, the aristocracy is free to manage their holding and their patrons as they see fit within the over aching laws that govern the Kingdom or their contract. An aristocrat that shows suitable drive, determination, commitment to the community and potential will be raised to the title of Count/ess through whatever means necessary, as long as doing so brings no harm to the stability of the Kingdom. Basic caste: These are men and women who ply their trade primarily for the benefit of themselves and are free to do so. Their skill and labour is primarily self-affecting and holds no sway over others. Advanced caste: These are men and women who have advanced their profession to a point where they have gained a certain amount of notability or have limited command of others (such as a guild leader). 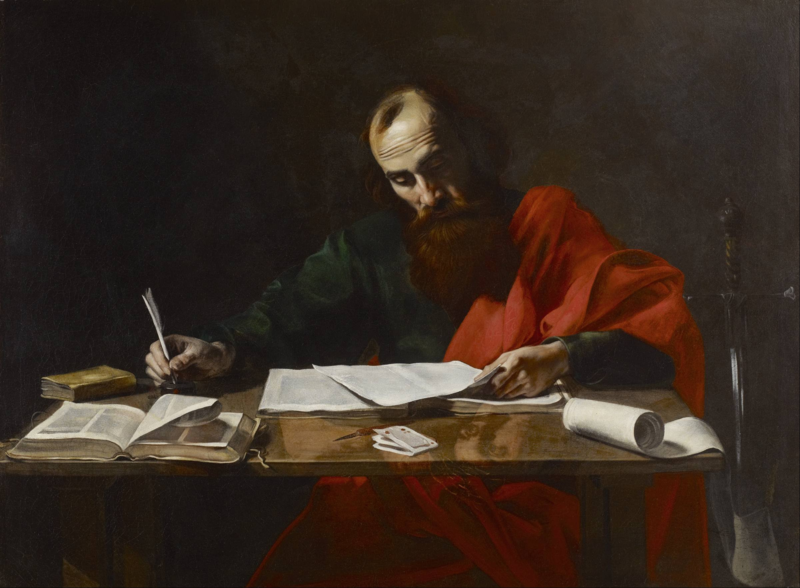 Their professionalism has naturally lent itself to the development of the Kingdom. 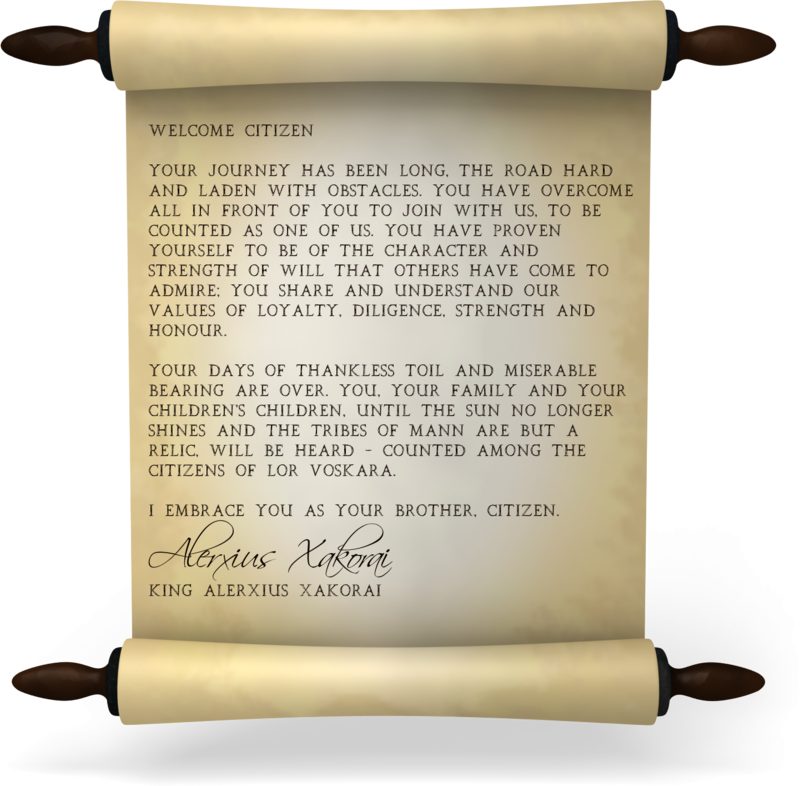 Citizens that show suitable drive, determination, commitment to the community and potential will be raised to the title of Aristocrat through whatever means necessary, as long as doing so brings no harm to the stability of the Kingdom. Very active and friendly community. Look forward to be working with the King and Queen. Looking forward to seeing how this kingdom grows and influences the world. Looking forward to be working with KING and queeny and all my friends new and old. Remember... If you want a horse come to Bloodwolf Breeders first! !